The pressure is on as the battles continue tonight on The Voice! Before you tune in at 8/7c, enjoy two sneak peek performances below, plus hear what the coaches and their advisers have to say about the artists this season. Then, prepare to meet “the Courier” tonight at 10/9c on The Blacklist. But first, check out the latest edition of “Beyond The Blacklist” AND get your first peek at tonight’s episode. The Voice Sneak Peek: Week 5 – Catch a sneak peek of the final week of battles. The emotions are as high as the notes. 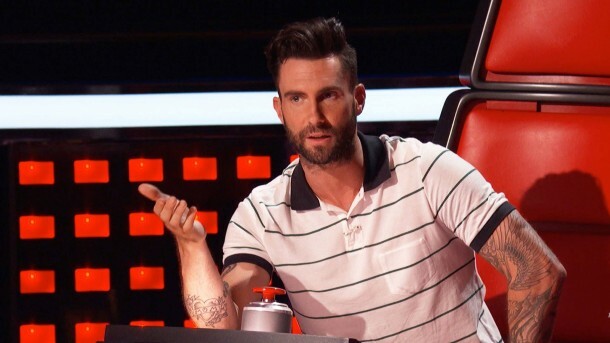 Battles Blowout – The coaches take off the gloves when the battle rounds continue Monday on The Voice. CeeLo + Miguel: How To Embody A Song – CeeLo and his advisor Miguel pontificate on what it takes to emote lyrics as your own, even if you didn’t write them. Ryan + Adam: The Onstage Person – Adam and his advisor Ryan explain why the things you do on stage are not allowed in real life. Blake + Cher: Big Voices and Big Love – Blake takes a moment to tell Cher how he really feels about her and why she is so special to him and to his team. Coming Up on The Blacklist – Liz and the team rush to save an agent lest the truth die with him on the next Blacklist, Monday at 10/9c on NBC. Beyond The Blacklist: Episode 4 – What does Reddington have against the Stewmaker? The cast and show creators answer your questions.